You can print all day with the Samsung ML 2010R and find that the Samsung ML-2010R gives consistent results every time. The problem with heavy use of the ML 2010R, however, is that Samsung ML-2010R accessories such as the black Samsung ML-2010R toner cartridge can be expensive to replace. You can search high and low for cheap ML2010R toner prices and compare the Samsung ML-2010R cartridges prices of many leading Samsung ML-2010R retailers, but only one will be a cut above the rest: Cartridge Save. We at Cartridge Save offer you the best Samsung ML-2010R toner prices, along with impeccable service. Try Cartridge Save for all your Samsung ML-2010R cartridge needs! We guarantee that you’ll only get the best genuine Samsung ML 2010R toner cartridge from us-we’re so sure you’ll be satisfied with your Samsung ML-2010R toner that we send every ML 2010R cartridge off with an iron clad money back guarantee. The Samsung ML2010R toner cartridge is also delivered for free, ensuring you get the best value for money when you purchase your Samsung ML-2010R cartridge from Cartridge Save. 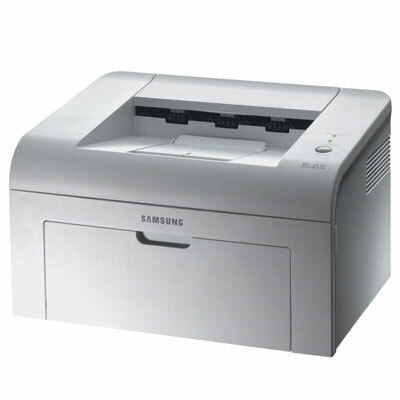 The Samsung ML-2010R is a fast workgroup printer that easily prints up to 20 pages per minute and will be best suited in a small business or in a home office. It is a laser monochrome printer that produces clear documents at a resolution of up to 1,200 x 1,200 dpi. In addition, the Samsung ML-2010R toner printer can have a print out in just under 10 seconds from standby. To accomplish fast printing, it employs a 150 MHz processor combined with 8 MB of RAM to easily process print information. Designed to be compact in size, this printer will not take up much space. Its dimensions are 35.81 cm in width, 29.97 cm in depth, and a height of 21.59 cm. At a weight of only 5.48 kg, the Samsung ML-2010R is easy to manage and will transport without any difficulties. A USB interface will allow connection to a computer and is the only means of connectivity. An output bin that can hold up to 100 sheets is combined with an input tray that has a maximum capacity of 150 sheets. Samsung ML-2010R toner is also highly efficient and can print on up to 3,000 pages before needing to be changed out. Flexibility is a key aspect of this machine as it has the ability to print on labels, envelopes, transparencies, and plain paper. Samsung ML-2010R toner is very affordable, so you don't have to worry about the cost of maintenance. This printer is also energy efficient and uses only 300 watts of energy during printing. When the Samsung ML-2010R goes to sleep, it uses only 6 watts of power to further increase electricity savings. One of the major disadvantages is the inability to act as a print server for computers in a network. A scanner, copier, and fax machine would have been a useful addition. This printer also does not include memory expansion slots, which would increase RAM and performance. Another downside is how loud it operates. During operation, it manages to produce up to 53 decibels of noise and only reduces sound emission to 35 decibels during standby. This may be excessively loud to some and another printer should be taken into consideration if that is the case.